Carnation Evaporated Milk, 97 Ounce -- 6 Can per case. 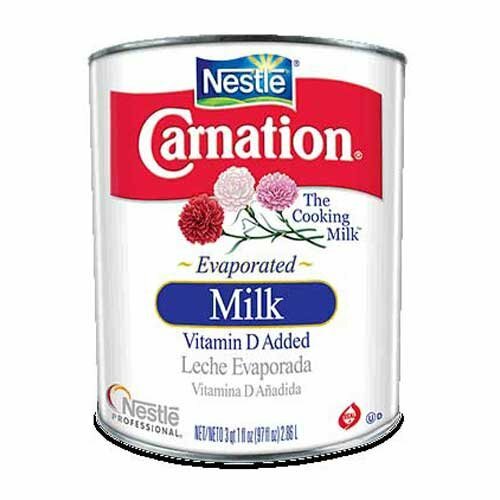 Carnation Evaporated Milk Is Known As The Cooking Milk . It Is Real Milk Which Has Been Gently Heated To Remove About Half The Water. The Cooking Milk Benefits: 1) Adds Creaminess And Flavor, 2) Improves Moistness.